Day three of the 2016 Belgium Open has confirmed that Japan will have a pairing in the Women's Doubles final, with an all-Japanese last four clash waiting in the wings. 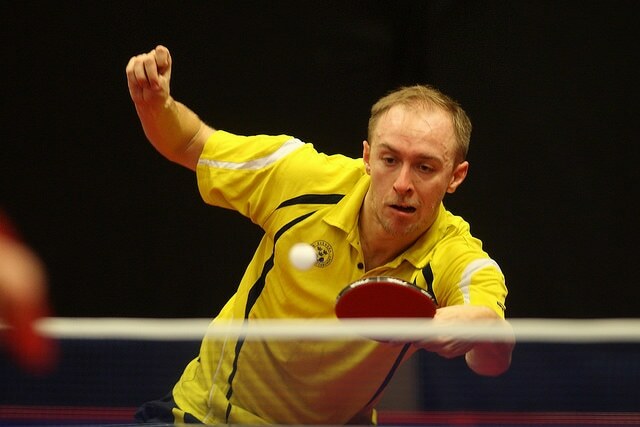 The Men's Doubles category saw three Swedish teams advance through to the quarter-finals in De Haan. Hitomi Sato and Honoka Hashimoto are one of the Japanese pairings who will play in the semi-finals, following a 3-1 win over Nina Mittelham (Germany) and Sarah De Nutte (Luxembourg) in the last eight. The second end proved fascinating with 34 points scored between the two teams, but ultimately Sato and Hashimoto were more in sync than their opponents and went on to book their ticket for day four (11-7, 18-16, 8-11, 11-6). Marina Matsuzawa and her Doubles partner Mariko Takahashi (both Japan) also progressed after they defeated the Romanian duo of Elizabeta Samara and Bernadette Szocs in straight games (11-9, 11-3, 11-8). Both of the Japanese combinations will contest the top half of the semi-finals draw, ensuring that the country will be represented in Saturday’s final. Sitting in the bottom half of the draw are players from four separate nationalities. Georgina Pota (Hungary) and Yulia Prokhorova (Russia) overcame Audrey Zarif and Lucie Gauthier of France, with Alex Galic (Slovenia) and Rachel Moret (Switzerland) taking the other last four spot with a victory against Germany’s Chantal Mantz and Wan Yuan. With the Men’s Doubles competition playing their quarter-finals matches on the fourth day of the Open, there were eight Round of 16 ties to be decided. Swedish pairs were the biggest benefactors of success, as all three of their teams made it through to the last eight. Simon Arvidsson and Jon Persson stood victorious over Mexicans Marcos Madrid and Salvador Uribe in four ends, and another pair from Sweden picked up a 3-1 win as Fabian Akerstrom and Harald Andersson eliminated Steffen Mengel and Ricardo Walther (both Germany). There was a scare for the third pair of Swedish competitors after Anthony Tran and Viktor Brodd blew a 2-0 lead to give the host nation’s Robin Devos and Cedric Nuytinck a lifeline back into the match. However, it was not to be for Belgium as Tran and Brodd defied momentum and held on for the quarter-finals place. Next up for Anthony Tran and Viktor Brodd are Indian opponents Sanil Shetty and Sathiyan Gnanasekaran. The other partnerships to move into the quarter-finals are: Adam Szudi and Tamas Lakatos (both Hungary), Benedikt Duda and Dennis Klein (both Germany), Tomas Polansky and David Reitspies (both Czech Republic) and the Russian duo of Mikhail Paikov and Alexey Liventsov.